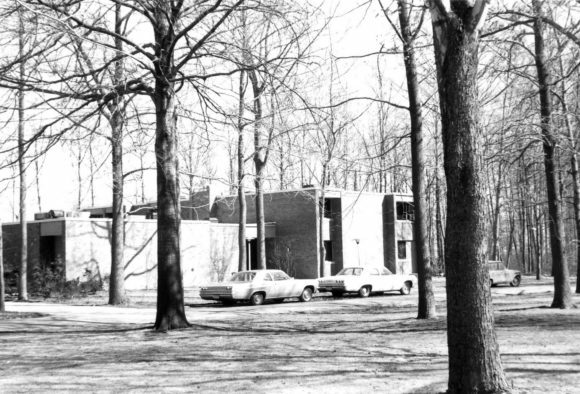 Share the post "Helyar House: 50 Years of Cooperative Living at Rutgers University"
Archival photo of the back of Helyar House in 1968, the year it was opened. Daniel Rossi, one of the first Helyar House residents, is a former associate director of special projects at Rutgers NJAES. 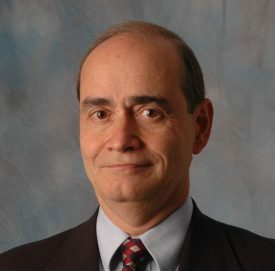 He earned a bachelor’s degree in 1971 and a master’s degree in 1973 in agricultural economics from Rutgers, and a doctoral degree in agricultural economics from Pennsylvania State University. Helyar House is a cooperative living community located on the Cook Campus of Rutgers University. A unique alternative to traditional residence halls, Helyar House has been a community where students live together, learn together and work together for more than 50 years. At its heart, it’s a community that provides a family environment in which its members have a much greater responsibility for self-governance. Each house member—first-year through senior—works hand-in-hand to achieve common goals which provides them with a strong foundation of self-reliance as well as excellent social interaction and leadership opportunities. Being self-governing means each year becomes a social experiment in which the residents must work together through the myriad of problems that all students encounter in addition to the complex problems of cooperative living. Helyar House residents, which number about 40, plan, purchase the ingredients for, prepare, serve and clean up after their own meals. They work cooperatively to provide their own janitorial services and building maintenance. In doing so, they solve their own problems and learn many critical leadership, interpersonal and life skills. Although the students are self-governing, there is a residence life counselor in the House to provide guidance and oversight. In addition, the residents benefit from the support and mentorship of the Cooperative Living Advisory Committee which includes the School of Environmental and Biological Sciences (SEBS) faculty and staff as well as the Campus Dean. 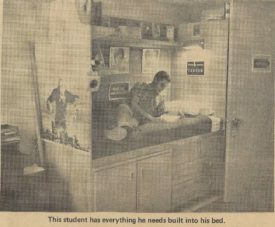 Dan Rossi pictured in his dorm room in 1968 in this photo extracted from the Daily Targum archives. Cooperative living began at Rutgers during the Great Depression. Professor Frank G. Helyar, then director of resident instruction at Rutgers College of Agriculture, observed a great financial need among the young students, primarily those from agrarian backgrounds and who wanted to attend the College. In response, he offered these students an opportunity to live on campus in exchange for working for the college in its various departments and programs. The students lived in attics, basements and farm structures or wherever there was room. Without such assistance, many of the students may not have been able to attend college. The alumni maintained contact with Prof. Helyar and each other over the years. Upon his passing in the early 1960s, this close-knit group of alumni organized themselves and raised nearly $200,000 to build a permanent facility to house students dedicated to cooperative living. Under the direct leadership of Richard Merritt, alumnus and then Dean of Resident Instruction, Helyar House opened in 1968 and serves as a permanent memorial to Prof. Helyar, the man credited for the opportunities and success the alumni enjoyed. On a personal note, I was fortunate to be one of the first students to live in the newly built Helyar House. The vision of Prof. Helyar is alive and well today. The cooperative living alumni continue in the spirit of Prof. Helyar in supporting cooperative living. They work with and support current students in Helyar House by raising funds for scholarships. Three scholarship endowments currently total approximately $2.5 million. The alumni also published a book, The Helyar Expereince, on the history of cooperative living and the significance of Prof. Helyar’s vision at Rutgers. Every incoming student receives a copy of the book to better understand the history and tradition of cooperative living. 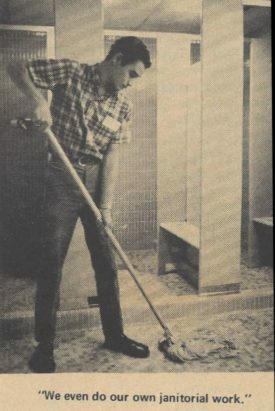 Dan Rossi pictured mopping the floor in Helyar House in 1968 in this photo extracted from the Daily Targum archives. The current students continue to live cooperatively in a living learning community as envisioned by Prof. Helyar. Helyar House is open to SEBS undergraduate students who have significant financial need. Each student receives a financial benefit equivalent to approximately $8,000 per year, including nearly $2,600 in direct scholarship from the previously mentioned endowments. The students also participate in an internship program, which allows them to provide community service on campus during the first two years. During years three and four, they have the opportunity to gain critical experience working directly with the research faculty at SEBS. 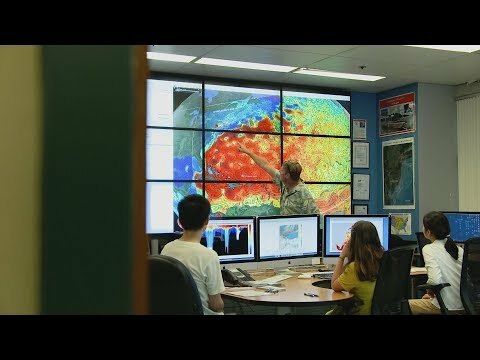 This experience helps the students learn the process of scientific research, make informed career decisions and provides an opportunity to develop relationships with faculty outside of the classroom setting as well as an additional source of references for future education and employment. Finally, consistent with cooperative living’s roots in agriculture, the current students also operate a greenhouse and a chicken coop. These projects provide the students with hands-on experience in addition to a local and economical source of fresh food.